DSC01282, originally uploaded by susiwalsh. 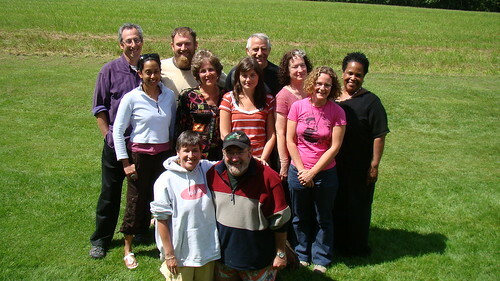 We had a great week at the Kopkind/CID filmmakers camp from August 2-9 up in Guilford Vermont. We’d like to especially thank our guests Sandra Forman, Nora Jacobson and the Vermont filmmakers group, Henry Ferrini, Deborah Chasnoff and Liz Canner for joining us and for sharing their expertise and their work. Huge thanks to Dave and Cubby for GREAT food and making everything go so smoothly- and to Gilbert for his amazing stories and hospitality (and the BEST margaritas!). WE HOPE YOU’LL CONSIDER JOINING US NEXT SUMMER AT CAMP! WATCH THIS WEBSITE FOR INFORMATION ABOUT APPLYING (SPRING 2010). Kopkind/CID Filmmakers Seminars & Grassroots Film Festival 2009 to begin on August 2nd! NAMAC Conference is coming soon!